Michelin-trained Tim hails from the Philippines and was formerly head chef at Jason Atherton’s Pig & Palm in Cebu and sous chef at Bonnie Gull, a seafood restaurant in London’s Fitzrovia. Having also competed in the BBC’s MasterChef: The Professionals in 2015, the Manila-born chef has a real passion to get Filipino cuisine on the culinary map. Originally from Scotland, this MasterChef 2017 semi-finalist is well versed when it comes to a huge variety of cuisines. He has a real soft spot for distinctive asian flavours (Indian, Chinese, Japanese, Thai) and when he's not working as a private chef, you can also find Brodie in the kitchen at Kricket, Brixton cooking up a storm. A self-proclaimed food enthusiast, Max and has been in the UK since 2008. His family hails from all over Italy: Venice, Treviso, Milan, and Parma. Devoted to the traditional flavours of his culture he has 20+ years experience as a home cook, and offering private chef experiences for 4+ years. Having been around other chefs from a young age Max offers an authentic Italian experience and a memorable tasting session that can be shared between family and friends. Kate has worked as a chef for several years and loves the happiness cooking and eating brings to the people she cooks for. She likes joyful food that tastes good and enjoys sharing that with others. 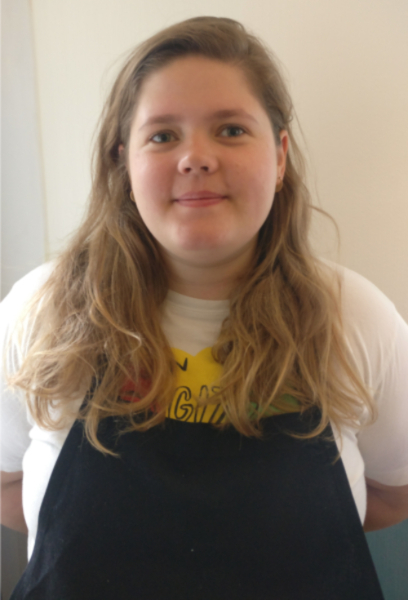 She has worked in many types of establishments and also this year has been volunteering with a homeless charity in one of their long term hostels to run cooking lessons: teaching their residents practical skills in fun social activity. She enjoys teaching people and sharing her passion, over the years she has learnt skills that would be great to pass on to help people become more confident in their cooking abilities. Paola is an Anglo Italian food writer and cook with a life-long passion for Italian cooking. Born and bred in London, Paola grew up between her father's Italian delicatessen and her parents' kitchen, where she learned the pleasures of Italy's regional cooking and the value of slow living. Now, her mission is to show others how to capture the Mediterranean lifestyle, regardless of where you live, your experience, or how much time you have. She’s passionate about bringing a healthy, seasonal, and pleasure-first approach to food to the UK. Expect fun cooking classes full of interesting Italian foodie facts and you will go home feeling confident in creating Italian dishes that will become part of your cooking repertoire. Paola is a certified professional cook from Leiths school of food and wine. Zoe is a lifelong vegetarian from Brighton and grew up learning to cook in her parents’ vegetarian bed and breakfast. She is a passionate food educator and freelance chef, specialising in vegan cooking. She has taught in community kitchens, primary schools and commercial cookery schools, has cooked on yoga retreats and in popular vegan and vegetarian restaurants, including the Gate. She is a long standing regular chef at the Bonnington café, a collectively run vegan and vegetarian restaurant in Vauxhall. 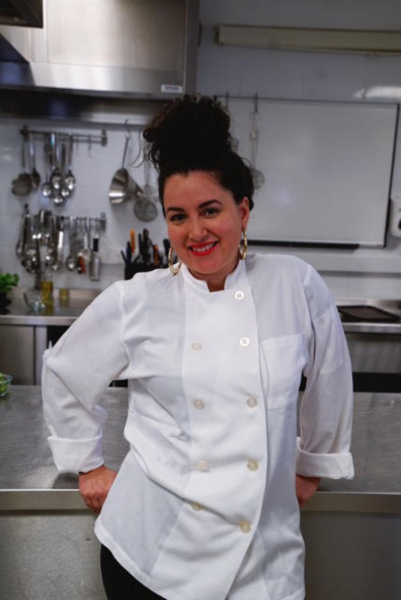 She is a passionate about teaching people how to make affordable tasty vegan food from scratch. Her food is inspired by food from around the world, particularly the Mediterranean, Middle-East and Asia. Zoe uses seasonal ingredients and interesting flavour and texture combinations to make vibrant, healthy plant-based dishes. Zoe has a Cordon Vert Chef’s Diploma and has completed Leith’s knife skills course. Viviana’s niche is hormone balance - mind, body and soul! From the age of 21 she started to study how food and stress influences our well-being. She believes food is not just for eating, it's about what it does for us. She will teach you how to be in control of your life and eat to be happy. You will understand exactly how your hormones work so in time you can balance and train them. Over the years she has helped people of all ages renew their vitality, and given them the tools they need to stay fit and energised. 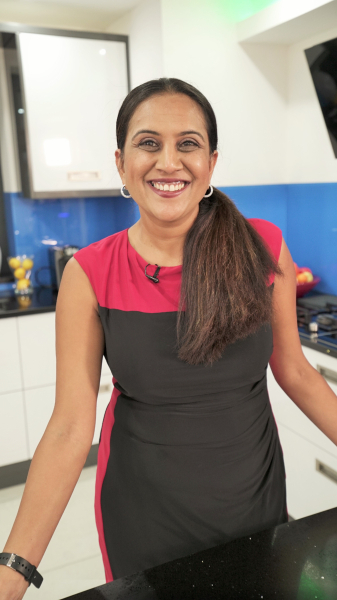 Anita is a Kenyan- Indian chef, presenter on Simply Good Food TV and author. After craving a successful career as an accountant working with various media companies over 15 years , she made the decision to follow her heart and dedicate her time to food and in particular the mix of Indian / Kenyan vegetarian and vegan cuisine and promote healthy eating. She focuses on teaching cooking delicious, healthy food using wonky veg, spices, and also show how to reduce food waste by using whatever you have in your fridge or pantry. All recipes are focused on teaching simple, healthy balanced meals to suit a busy lifestyle. I work with various schools teaching kids healthy cooking. She works with various schools teaching children healthy cooking too. Clare is a journalist-turned-chef, who relinquished a career on national newspapers to follow a passion for food. She is Leiths-trained and after graduating worked in a variety of restaurant kitchens before setting up her own bespoke catering company. She loves sharing her enthusiasm for food, whether that's helping beginners gain confidence in the kitchen or taking a keen cook's skills to the next level. Whichever course you choose will be full of tips and tricks and include recipe cards to keep. Clare has trained at Leiths School of Food and Wine, has a Diploma with Merit Wine & Spirit Education Trust, Level 3 Award. Marta is 33 and an Italian mum. She loves food and spends most of her time cooking, testing recipes and generally pottering around the kitchen. She has always loved cooking and comes from a big Italian family that spends all it’s time sitting around the table, eating, chatting, laughing and sometimes even shouting at each other, but always, together. So she thought to herself, why not combine her background in education and my love for cooking? Now she gets to spend her days teaching parents and their children how to prepare and wash food, whisk, chop and taste different ingredients whilst playing with new textures and shapes. Plus, they get to take home everything they cook and share it with their family to bond over a meal. Who could ask for more? Claudia offers a modern and unpretentious approach to wine education. She wants you to feel comfortable and to have fun whilst learning about wine. Her wine courses and tasting events are interactive and require no prior wine knowledge. She works with wines from small, independent winemakers from all major wine regions of the world and will help you to discover what wines you like and why you like them. Claudia is a certified wine expert (WSET Diploma degree) and also teaches wine courses at O Chateau in Paris, France. Mircel started training as a chef at 16 years of age. After working at a range of restaurants, Fredericks, Le Boudin Blanc, London’s oldest restaurant Rules, and head chef at Adam Street private members club, he was able to thoroughly feed his aspirations for food knowledge. Mircel’s own style of food is “modern, ethical and honest, seasonal food with simplicity”. The food knowledge Mircel processes has landed him a seat as one of the expert judges at The World Steak Challenge, which is designed to benchmark the quality of beef production against other international competitors. Mircel now works along side some of London’s infamous restaurants, hotels and luxury brands to take their food offerings to a new height. Petra specialises in wholesome, family style cooking as well as gluten free, dairy free and refined sugar free recipes. She loves discovering new cuisines, creating new exciting dishes and is constantly expanding her knowledge to create nutritious, healthy and tasty meals. Originally from Hungary, some of her favourite recipes to share are heart warming Eastern European stews. Her classes are particularly beneficial for busy individuals or families, who would like to eat healthy, but haven't got much time to cook and are bored of the same old recipes.